With seating for 5 and a maximum cargo capacity of 60.3 cu. ft., the 2019 Porsche Cayenne is a sports car that’s ready for adventure. Under the hood is a 3.0L turbocharged V6 engine delivering 335 horsepower and 332 lb.-ft. of torque for outstanding performance that responds the moment you press the accelerator. When the road conditions become less than ideal, the all-wheel drive helps ensure proper traction. 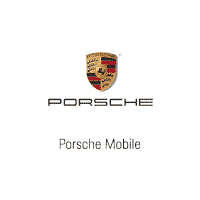 Visit Porsche Mobile to test drive the 2019 Porsche Cayenne. Recent Arrival! Black/Mojave Beige w/Leather Seat Trim w/Two-Tone Leather Interior, 10 Speakers, 14-Way Power Seats w/Memory Package, 4-Zone Climate Control, ABS brakes, Adaptive Cruise Control, Adaptive suspension, AM/FM radio: SiriusXM, Ambient Lighting, Automatic temperature control, Automatically Dimming Mirrors, BOSE Surround Sound System, Comfort Access, DVD-Audio, Electronic Stability Control, Emergency communication system, Exterior Parking Camera Rear, Front dual zone A/C, Front fog lights, Front Seat Ventilation, Fully automatic headlights, Garage door transmitter: HomeLink, Heated door mirrors, Heated Front Seats, Heated Rear Seats, Illuminated entry, Knee airbag, Lane Change Assist (LCA), LED-Matrix Headlights w/PDLS+, Low tire pressure warning, Navigation System, Occupant sensing airbag, Overhead airbag, Panoramic Roof System, Porsche Communication Management, Power driver seat, Power Liftgate, Power Steering Plus, Power Sunblinds for Rear Side Windows, Premium Plus Package, Rain sensing wipers, Remote keyless entry, Security system, Tinted LED Taillights, Towing Package w/o Hitch Ball, Traction control, Wheels: 20" Cayenne Design. Quartzite Metallic 2019 Porsche Cayenne AWD 8-Speed Automatic with Tiptronic 3.0L V6 Trust. Commitment. Excellence. Come experience the all-new Gulf Coast Auto Group with new ownership and new management!